A replacement house with a stunning view (by AR Design Studio) has been granted planning permission. 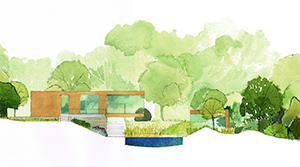 Our design for the gardens will integrate the house with the sloping site and takes full advantage of the outlook. It has been a few years since we visited Hidcote, so the design team had an afternoon outing to reacquaint ourselves with a classic garden: Lots to learn relevant to both traditional and contemporary designs. 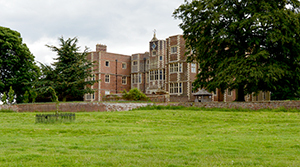 We’re thrilled to have been appointed to design the gardens for Quenby Hall in Leicestershire. The fine architecture is surrounded by stately trees but lacks garden interest. Our aim is to create exuberant gardens within a dignified structure of hedges and paths. 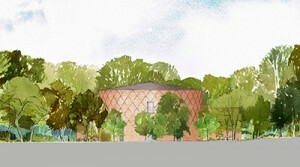 We have just received the excellent news that permission for the Theatre in the Woods has been granted. 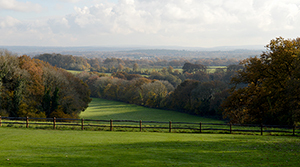 Construction work will start immediately so that the initial phase is complete for the first festival at West Horsley Place by June next year. 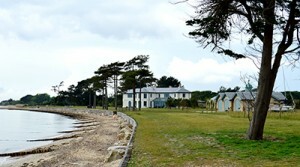 The owners of this house recently built in a stunning location on the Solent shoreline, have asked that we develop and the extend their gardens. A new sunken garden will provide some shelter whilst still allowing open views of the yachts racing past. Joanna Wall and Mike Ibbotson have collaborated on the design and implementation of landscape projects during the last 6 years. 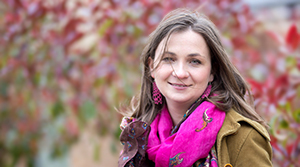 We are thrilled that Joanna is now appointed as Associate to help manage the growing portfolio of landscape design commissions. Pinders Healthcare Design Awards recognize the finest developments in all care-related property. Camberley Manor, Nursing and Residential Care Home, operated by our client TLC Group, won the 2016 award for ‘Best New Care Home – Elderly’. 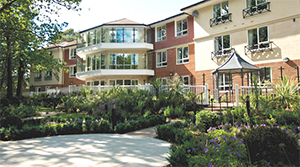 We are proud to have designed the landscape for this care home with Tom Chapman. Permission is granted through National Planning Policy Framework Paragraph 55 for an outstanding new house by architects AR Design Studio in Ravenstone, Buckinghamshire. This clause allows for a new individual house that meets the highest tests for exceptional quality and innovative design. 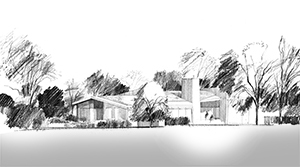 Our design for the landscape will create a central valley for the bronze-clad house to project into the space formed. Our project for the restoration of a section of the River Avon in Pershore has been selected for ‘good practice‘ guidance. The Environment Agency were so impressed by the drawings submitted that copies will be sent to future applicants who are seeking consent for works to watercourses. 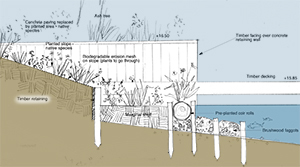 A number of techniques were proposed to stabilise and re-vegetate the riverbank and provide a variety of habitats for wildlife on the bank and river.